And Have You Heard the Story of the Golf Legend Who Lost the PGA Trophy? 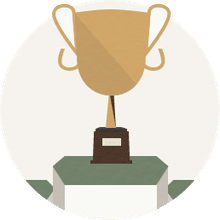 The Wanamaker Trophy, presented to the winner of the PGA Championship golf tournament, is one of the largest trophies in golf. The trophy, a silver cup, is named after Rodman Wanamaker, who helped create the PGA of America in the early 1900s. And the PGA trophy's interesting history includes once being lost by a Hall-of-Fame golfer. How Big Is the Wanamaker Trophy? It's big! Especially as golf trophies go: The Wanamaker Trophy dwarfs, for example, the British Open's Claret Jug and the Ryder Cup. When the trophy is presented to the tournament winner, that golfer often makes a show of pretending to struggle to lift it. The PGA Championship trophy is 28 inches high. That's nearly 2 1/2 feet tall. At its widest point (measured handle to handle) the trophy is 27 inches across. It weighs in at nearly 30 pounds (27 pounds, to be precise). For a couple years in the late 1920s, the Wanamaker Trophy was missing. It was lost. Lost by Walter Hagen, no less. Hagen was the defending champion at the 1928 PGA Championship, but when Hagen fell in the final to Leo Diegel, the PGA needed the trophy back in order to present it to Diegel. But Hagen, who had won the tournament each of the four previous years (1924-27), didn't have it. "When PGA officials asked Hagen about what had happened to the Trophy ... the five-time PGA Champion declared it was irrevocably lost. Hagen said that he had entrusted the trophy to a taxi driver to take the precious cargo to his hotel. It never arrived." But, luckily, Hagen's contention the trophy was "irrevocably lost" turned out not to be true. The Wanamaker Trophy was found in 1930 in a cellar of the L.A. Young & Company (makers, at the time, of Walter Hagen-branded golf clubs) building in Detroit. It was in an unmarked case and was discovered by a worker cleaning the cellar. That original trophy now resides at the PGA Historical Center in Port St. Lucie, Fla. 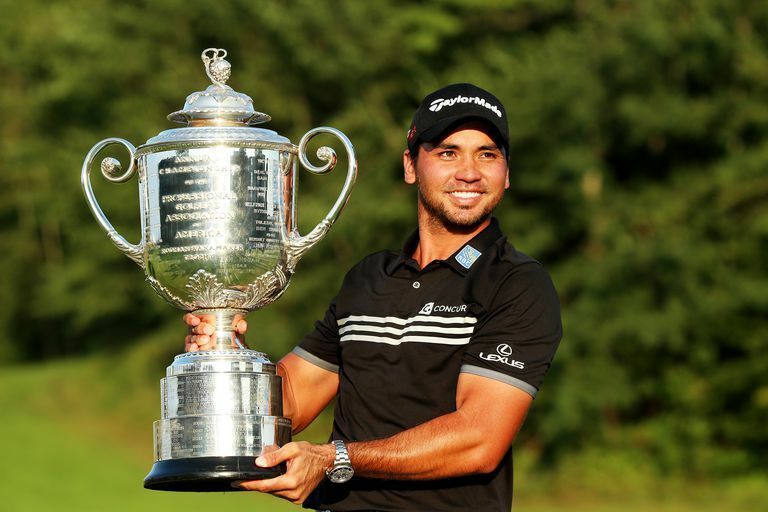 Does the PGA Championship Winner Keep the Wanamaker Trophy? At the PGA Championship each year, a replica of the original trophy is presented to the winner, who gets to keep it for a year. The champion returns that full-sized replica trophy the following year when he returns to try to defend the championship. But a smaller replica trophy is made each year and also given to the PGA champion. That smaller trophy is the one each PGA Championship winner gets to keep permanently. The PGA Championship trophy is called the "Wanamaker Trophy." Its namesake is Rodman Wanamaker. Wanamaker was a businessman and entrepreneur who became an international department store magnate and a patron of the arts. He was born in 1863 and died in 1928. Wanamaker got rich through Wanamaker's department stores. And that chain still exists, in a way: Through a series of mergers and acquisitions, the "descendants" of Wanamaker's business are now part of Macy's. Wanamaker is credited with revolutionizing the department store concept in America. Wanamaker was also involved in newspapers, aviation, the arts and athletics. He was the founder of the Millrose Games, an indoor track-and-field meet that remains one of the most prestigious in the United States today. Why is his name on the PGA Championship trophy? Because Wanamaker was a driving force behind the creation of the Professional Golfers Association of America—the PGA. He hosted an organizing meeting early in 1916 to form the PGA, and at that meeting offered to put up the money needed to create the trophy and various other prizes for a championship tournament staged by the new organization. That organizing meeting took place in January 1916 at Wanamaker's Store in New York City. The PGA's official founding date is April 10, 1916, and the PGA Championship first teed off on Oct. 11, 1916.